You have an Acronis True Image 2016 or Acronis True Image Cloud (Release 2016) installed on the machine. You run a task (backup/validation/etc.) 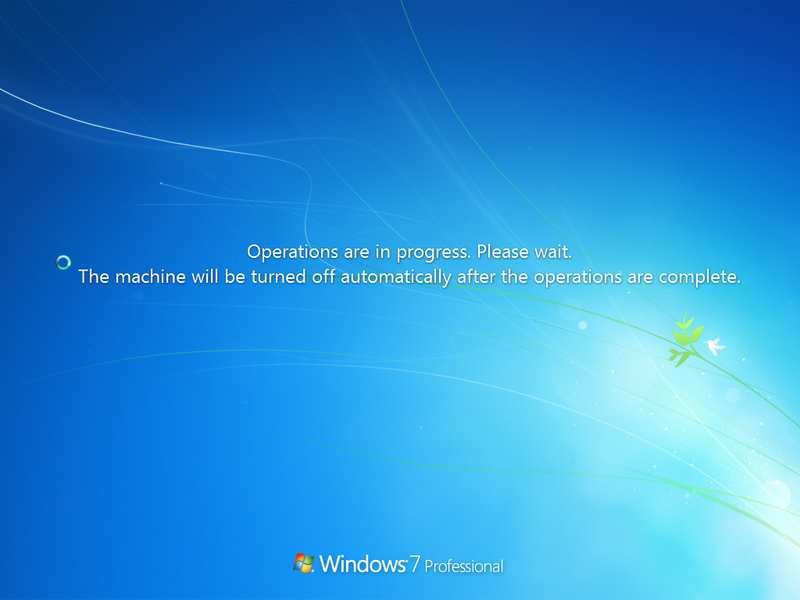 and shut down or restart the machine while the task is running. Acronis True Image is terminating the current operations, please wait. The computer will be turned off automatically in about two minutes. The machine shuts down or restarts in a few minutes. This is the designed behavior. To avoid data corruption, Acronis True Image postpones the system shutdown until the task is safely stopped. 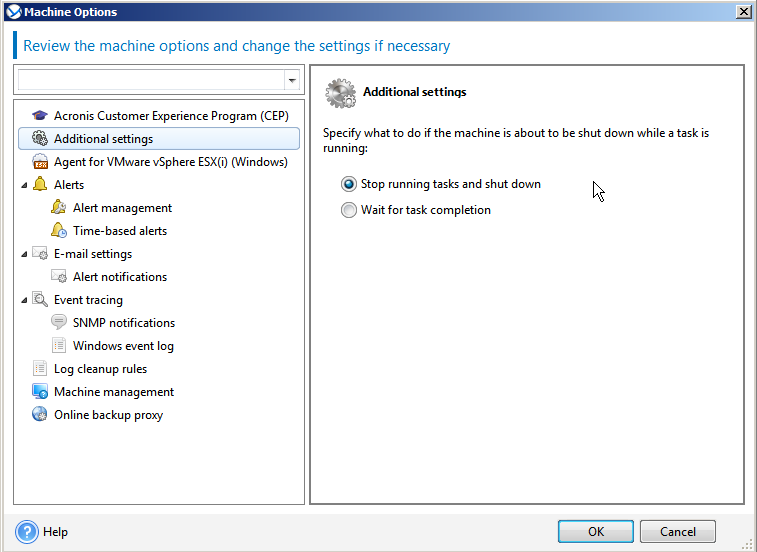 Starting with update 2 (build 6559) shutdown behaviour has been improved. You can now decide what has to be done once computer shut down interrupts your backups: to stop the backup and shut down or to prevent shutdown and continue backing up. 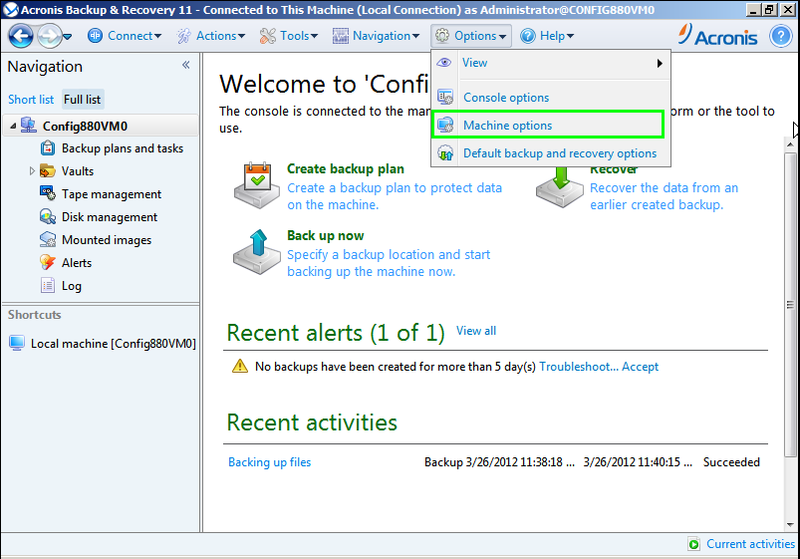 To select one of the options, navigate to Options of your backup task(s) -> Advanced -> Computer shutdown. Acronis System Report output (see Acronis True Image 2016: Generating System Report). You have an Acronis True Image 2015 or Acronis True Image Unlimited installed on the machine. Operations are in progress, please wait. The machine will be turned off automatically after the operations are complete. This is designed behavior. To avoid data corruption, Acronis Scheduler service postpones the system shutdown or restart process until the backup/validation/other task is safely stopped. You have an Acronis True Image installed on the machine. The machine shuts down or restarts after some time. This is designed behavior. To avoid data corruption, Acronis Scheduler service postpones the system shutdown or restart process until the backup/validation/etc. task in completed. You have an Acronis Backup installed on the machine. This is designed behavior. This is a "safety valve". To avoid data corruption, Acronis Scheduler service postpones the system shutdown or restart process until the backup/validation/etc. task in completed. Stop running tasks and shut down - Backup task will be interrupted and machines will be shut down (this option is selected by default). These task will be shown in Acronis Management Server with Succeeded with warning status. Acronis System Report (see Creating system report).